Doctor Dac, Inc. is committed to providing expert assistance in all areas of management for small businesses. We provide timely, quality service at an affordable price. Doctor Dac is a Dell partner. We install servers and workstations, setup your network, and provide follow-up support. Doctor Dac also partners with Sage, Intuit, Microsoft, Computer Associates, and GoDaddy. In that capacity, we sell and support popular software such as Windows, Microsoft Office Suite, Peachtree, QuickBooks, DacEasy, and Kaspersky Lab security solutions. Additionally, we help you in developing websites, and hosting emails and websites. In association with a sister company, OnTime Accounting and Tax Services, we offer accounting, tax preparation, and financial management solutions. We help maintain your books, process payroll, prepare income tax returns, perform cash flow analysis, prepare business plans and loan packages, and provide many more services that small businesses need and demand. 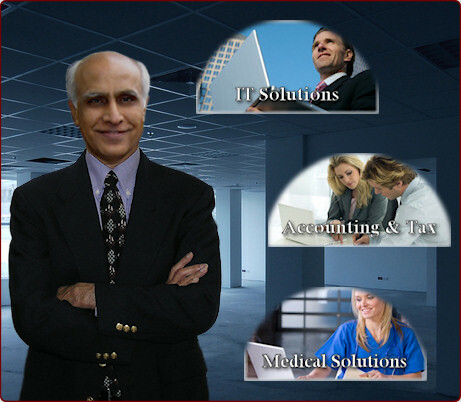 A subsidiary company, Pinnacle Services, specializes in software for medical practices. Pinnacle sells and supports Electronic Health Records (EHR) and Practice Management (PM) software developed by McKesson Corporation. Whatever need your small business has, it is quite likely that Doctor Dac can assist you. Please call us today at 303•922•5522 or email us at info@drdac.com.